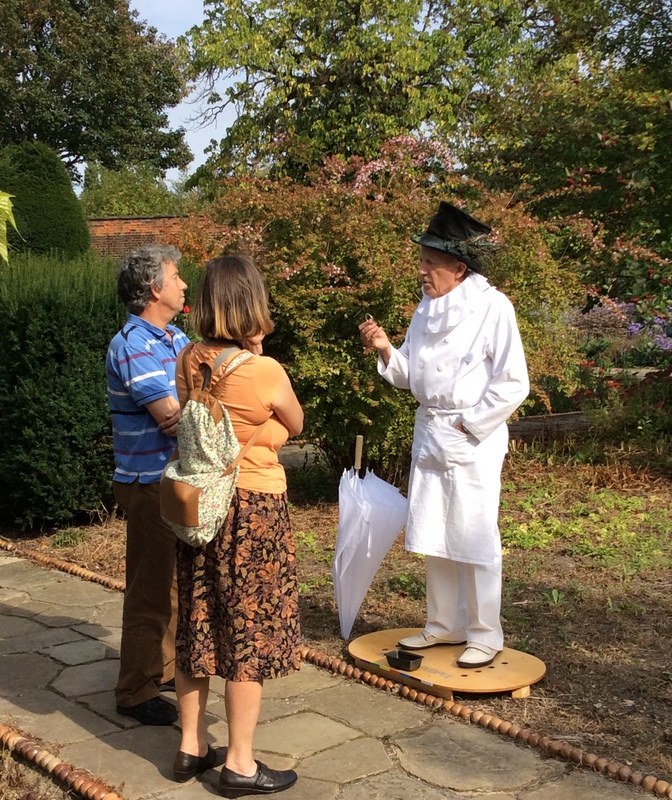 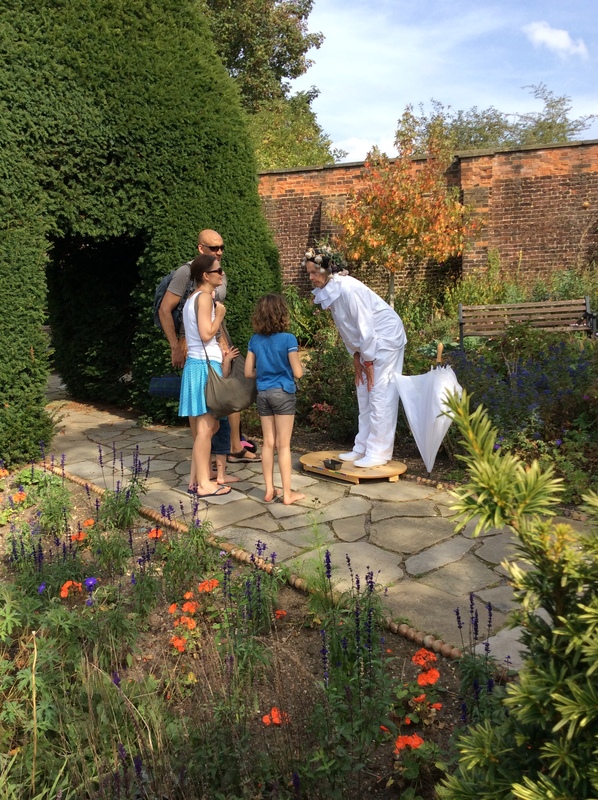 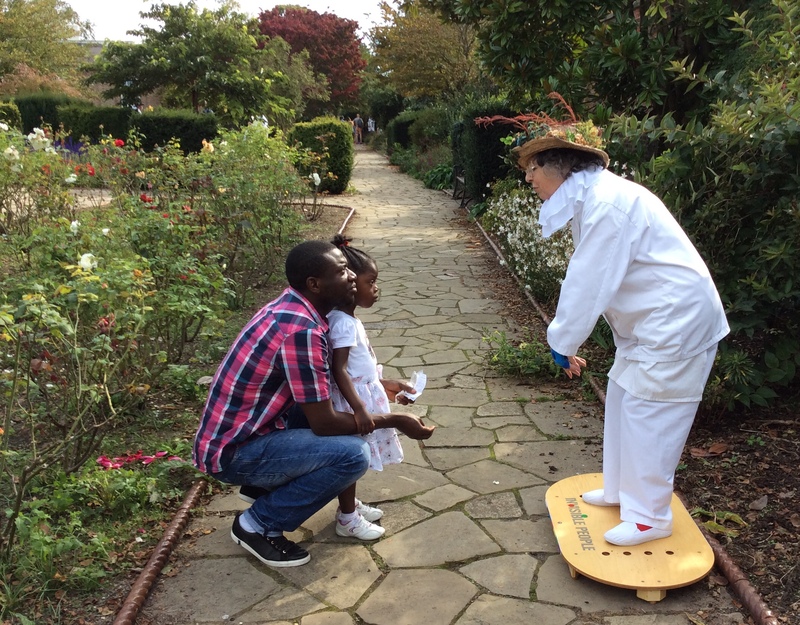 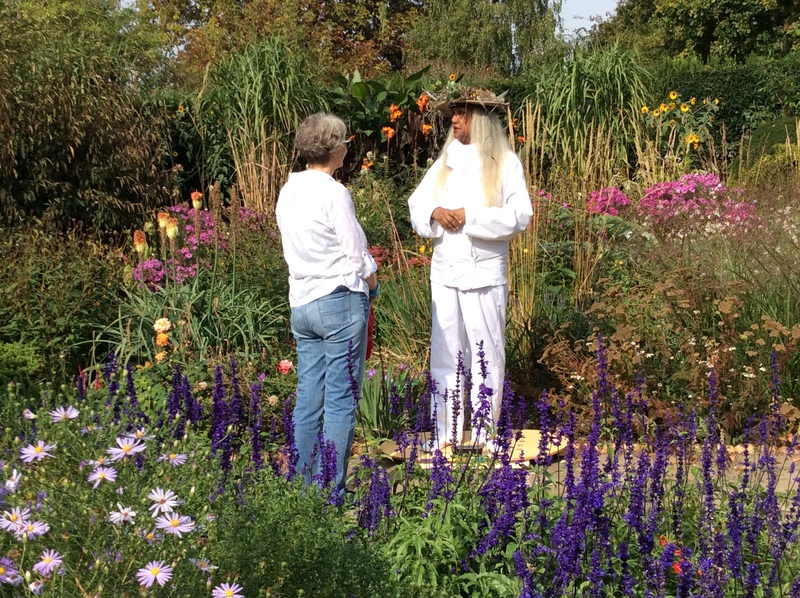 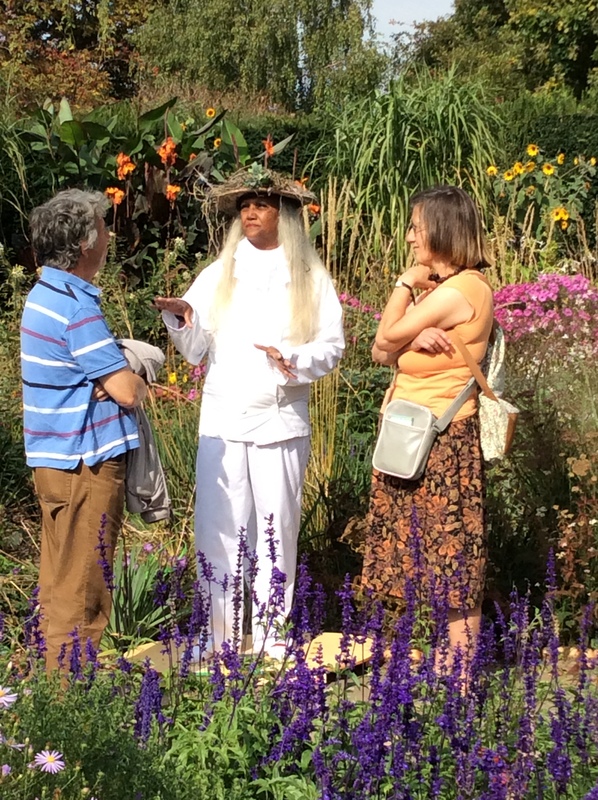 Third Thought Theatre’s free performance of ‘Invisible People’ in the Walled Garden on Sunday 28th September 2014 was well received by around 300 park users in fine weather. 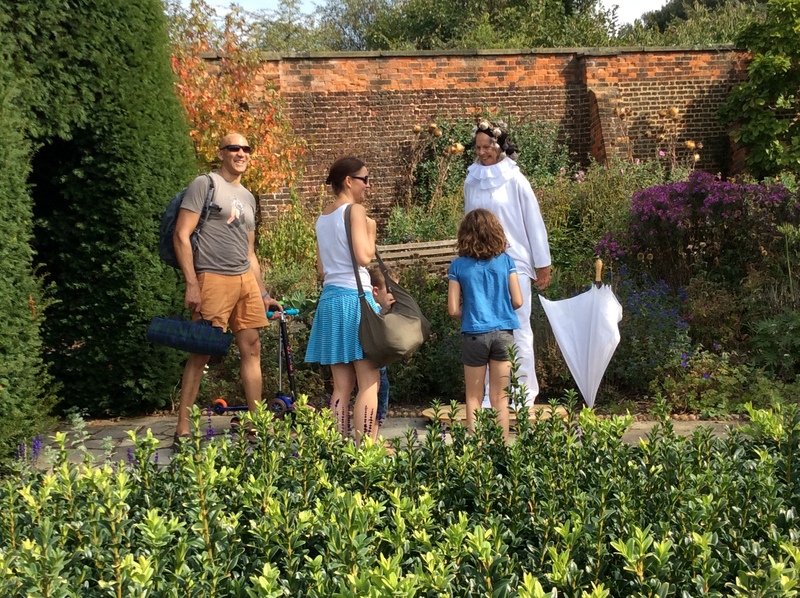 Visitors were provided with coloured counters which they handed to actors in white tunics dotted about the Garden on raised platforms. 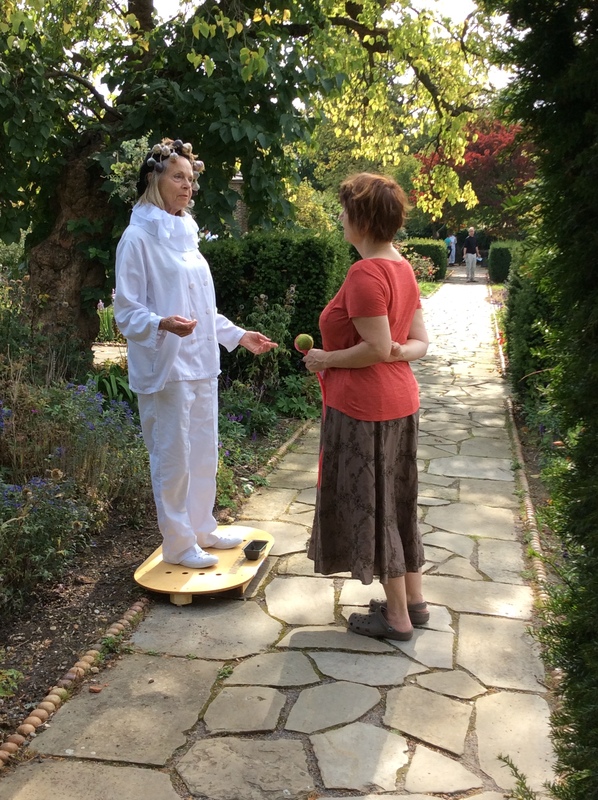 The actors performed either a scene, joke, trick, poem or gave advice depending on the colour of the counter. 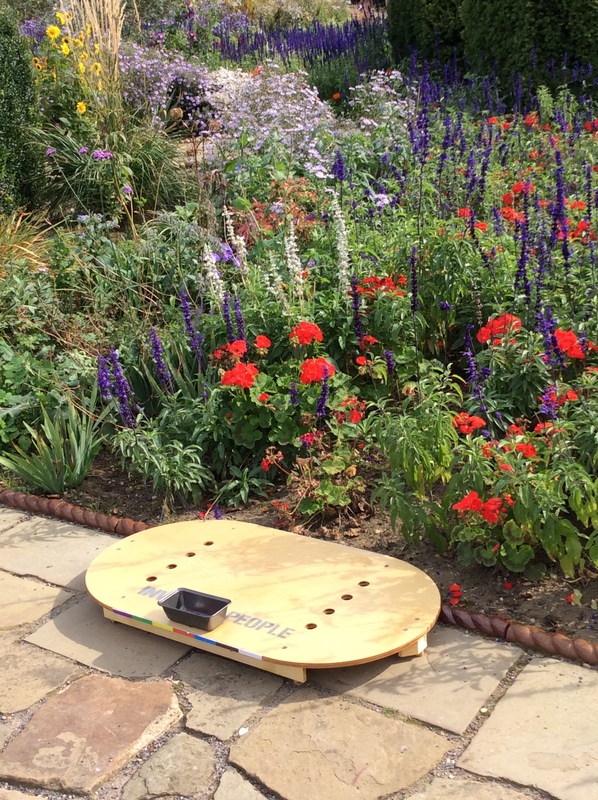 Innovative – and not intrusive to other users of the Walled Garden.